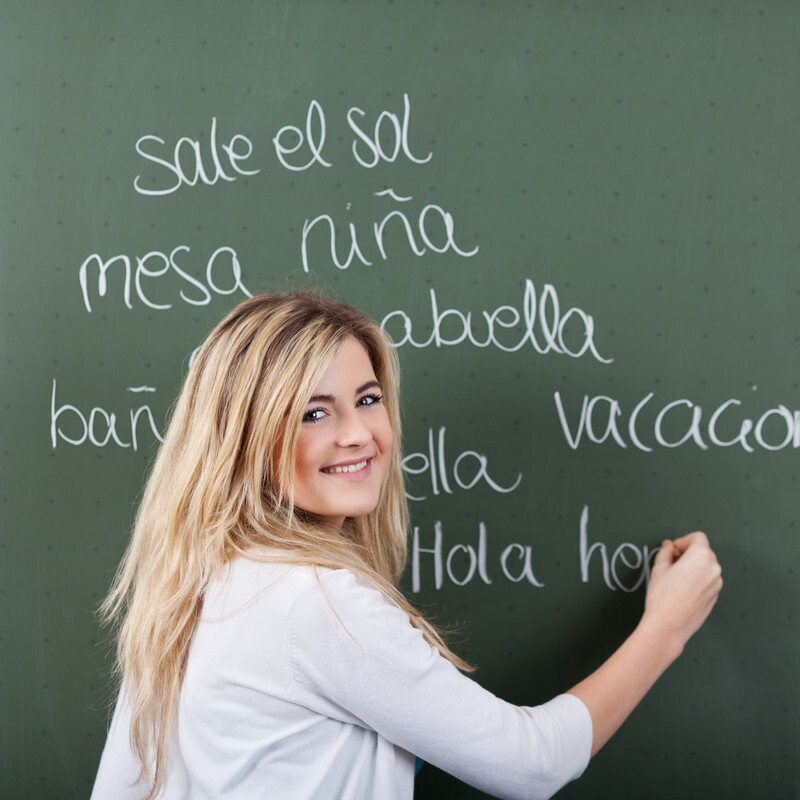 Improve your Spanish fluency by assisting and teaching in middle school Spanish classes. Essential Question: How can immersion help me with my Spanish fluency? Amount of credit earned: 2 credits (Equivalent to one trimester course). Community Partner: middle school Spanish teacher. Interpersonal speaking: engage in conversations in the target language. Presentational Speaking: present information, concepts, and ideas to an audience of listeners or readers. Teaching: illustrate the range of responsibilities in a Spanish teacher’s job. Lesson planning: create and implement a mini class lesson. Write: create written analysis on a broad variety of global topics as well as original written products. Listen: derive meaning from extended discourse on a range of global, historical, and literary topics. Read: analyze and interpret modern and historical works. Speak: discuss, analyze, and present on a range of global, historical and literary topics. Check in regularly with ELO partners (high school Spanish Teacher, middle school Spanish Teacher and ELO Coordinator) to reflect on the experience. Observe middle school teacher for 1-2 days until all parties feel comfortable with students being more hands-on. Work individually with students who need additional support. Take on elements of a lesson plan that the middle school teacher feels are appropriate. Drafting your own lesson plans. Present your lessons to the class. Present your project at the ELO Exhibition Night. Each student was responsible for meeting regularly with their mentor teacher and completing a final reflection paper. Primarily, the students relied on their mentor teacher for the needed knowledge and skills. However they also conducted additional research as guided by the mentor teacher. They demonstrated how they taught Spanish to the various middle school classes and how they managed their classroom behavior. The final product was a class lesson for the middle school Spanish students. One student presented a video she made on reviewing key concepts they learned throughout the year in class and the other student presented on her trip to Peru along with interactive student stations using artifacts from her trip. Each student presented on their experiences at the ELO Exhibition Night as well as explained their experience briefly on camera for a promotional video. This ELO resembles a classic internship experience however what I really appreciated about this experience is that neither student was interested in pursuing a degree in teaching, however, they wanted to improve their Spanish speaking skills. Their high school Spanish teacher suggested that they find an activity to be fully immersed in the language. One suggestion I would have is to have the students go at different times. It was difficult for our mentor teacher to manage both students and their individual needs along with his own classroom of middle school students.